Piper's world is turned upside down when she is forced to confront the consequences of her actions and face new challenges. A mock Job Fair provides Taystee with a chance to show off her business smarts; Red feels isolated from her prison family. Piper is challenged by her Soso experience; Morello gets her heart broken; a figure from Taystee's past arrives to disturb the status quo. Sophia gives the women a much-needed lesson in female anatomy; Morello takes a detour; Larry makes some life changes. A bathroom turf war sees deeper lines drawn in the sand as Gloria and Vee go head to head. Piper receives devastating news. Love is in the air as the inmates prepare for a Valentine's Day party; Red makes an intriguing new discovery. Larry asks Piper to be his prison mole. 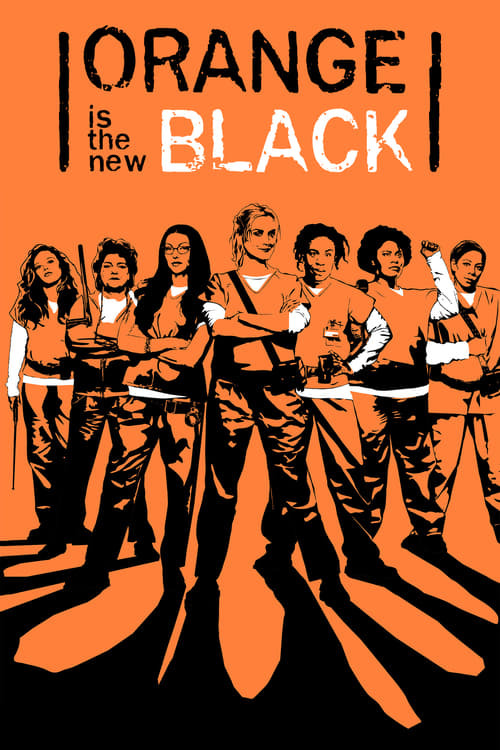 Piper starts a prison newsletter with the help of Healy and a few other inmates; Vee launches an entrepreneurial enterprise. Piper faces a new backlash over special privileges; Caputo feels pressure to toughen up, resulting in administrative changes. Piper's relationship with Larry faces a real-world test; Red's effort to redeem herself is finally rewarded. A familiar figure returns to Litchfield. The guards get tougher in a bid to turn up prison contraband; a big, lingering secret is finally revealed. Piper is shocked at an unexpected change in her status; Soso's hunger strike attracts new support that takes on a religious fervor. Tensions run high as a prison power outage forces several issues to come to light. Piper finds herself compromised and is forced to think on her feet. Episode - 13: We Have Manners. We're Polite. Several futures hang in the balance as the inmates face and confront their worst nightmares: Life will never be the same again. Sentenced to fifteen months for a crime committed in her youth, Piper Chapman leaves her supportive fiance Larry for her new home: a women's prison. After insulting the food in front of the prison chef, Piper is starved out by the kitchen staff and struggles to offer up an acceptable apology. Targeted for romance by a fellow prisoner, Piper finds that subtlety is an ineffective approach to letting her suitor down. Piper gets to know her stern new roommate; the prisoners prepare a farewell party for one of their own; a misplaced screwdriver has dire consequences. When her sighting of a legendary feral chicken polarizes the inmates, Larry wonders if Piper is getting too absorbed in the "fishbowl" of prison life. Piper wants the prison's outdoor running track reopened, but in order to get it, she'll have to give her corrections officer something he wants. Red gets pressured to smuggle drugs through her kitchen; Larry publishes an article about Piper in the "New York Times;" two babies come into the world. Thanksgiving arrives with the promise of a visit by Larry, but Piper's raunchy dance moves land her in solitary with a holiday feast of moldy bologna. Pennsatucky discovers a new skill; the inmates try to scare delinquent teenagers straight; Pornstache's side business suffers a tragic setback. The prisoners mourn one of their own and even a drunken Pornstache reveals surprising emotions; Larry gives a revealing radio interview. Painful truths reorient several relationships and careers; Pennsatucky feels disrespected by Piper, which is not good; Larry delivers an ultimatum. Red's scheme to reclaim her kitchen backfires; the inmates stage a Christmas pageant; Piper's plans unravel even as she realizes her life is in jeopardy.